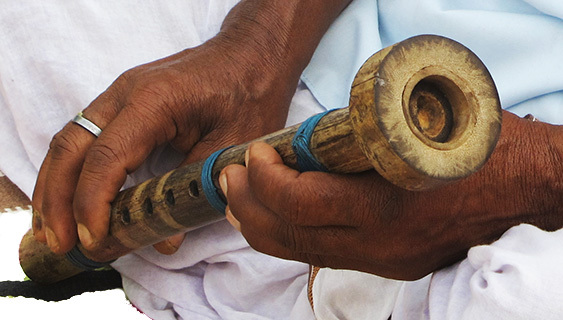 The Mokha Bnaashi, sometimes also referred to as the Kupa Bnaashi, is a flute that is peculiar to North Bengal and to the Rajbongshi community in particular. It differs from the regular flute (Aar Bnaashi) in that it has a wide mouthpiece that fits into the top of the main body of the flute. The mouthpiece or Kupa is a short, wide, hollow length of bamboo, about 1.5 inches long, with a diameter of 2.5 inches. The hollow through which the performer blows should be about 1.5 inches in diameter. This mouthpiece is slid over the top end of a narrower 12 inch long bamboo pipe, such that the inner circumference of the mouthpiece fits the outer circumference of the pipe. This end of the bamboo flute segment is jointed and thus closed while the other end is hollow. A tiny groove is made through the joint so that air blown into the Kupa passes through the notch to the hollow of the narrow pipe. Below this groove, there is a bigger hole (embouchure hole) made in the pipe, its position coinciding with the lower end of the Kupa. Like the common flute, the Mokha Bnaashi has six to eight finger holes at about half inch intervals starting about 3 inches below the top. To play the Mokha Bnaashi, the player presses his mouth in the hollow of the Kupa and blows. It is a difficult instrument to play as the player`s mouth should always be full of air which is blown continuously with pressure into the Kupa. He breathes into the Mokha and plays without interruption, not having to remove his mouth from the hollow to catch his breath. It is this playing technique that is the specialty of the Mokha. Modulations of tune and pitch are achieved by applying or withdrawing pressure on the finger holes. The degree of difficulty is such that performances usually have a pair of Mokha bnaashi players performing - to support each other. Mokha bnaashis are rarely sold and are usually made only when required. Two types of bamboo or ‘bnaash’ are required for making the mokha, Baro bnaash and either the thinner Makhla bnaash or Nal bnaash. Since they are always made in matching pairs, the artisan may be required to make many such flutes until he identifies two exactly scale matched instruments.  The exact matching of scales in important because two Mokha players need to play in unison. They not only support each other, should one need to catch his breath, but the louder sound helps the quality of the general performance. The accuracy of the scales depends on a variety of factors - including the diameter of the hollow, the position and size of the sound holes including the one at the top of the inner flute. The Mokha Bnaashi is traditionally used to accompany the songs of Bishohara - a folk drama related to Bishohori or Manosha, the goddess of snakes and fertility. The Mokha may also be used for Shonarai songs. 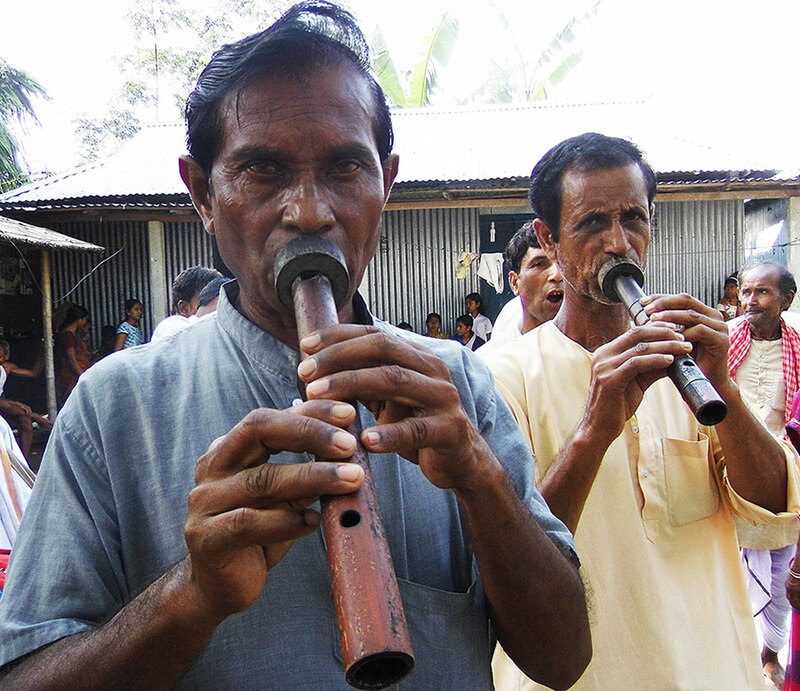 Without doubt, the Mokha Bnaashi falls into the realm of a dying art, with only about 30 elderly players spread across the Dinhata, Mathabhanga and Tufanganj sub divisions of Cooch Behar who still play this instrument. Efforts need to be made not only keep the art alive but also give the artists their due recognition.